Garden by the bay - a new tourist attraction? Log onto http://www.worldometers.info/ and see how fast the counter moves. How long do you think it will take world population to reach 10 billion (10 000 000 000)? 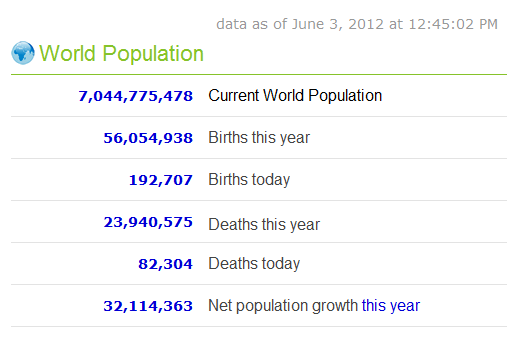 Look at the net population growth (births minus deaths) and do your maths! Refer to the population of the different countries in 2011 - China top the list followed by India. 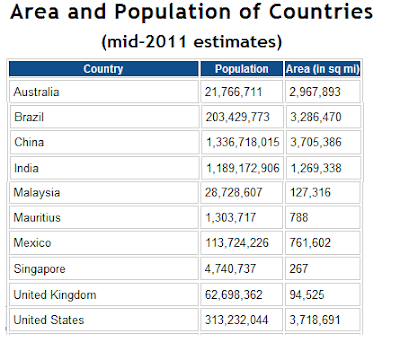 However if you look at the land area compared with the population - which country has the highest population density? 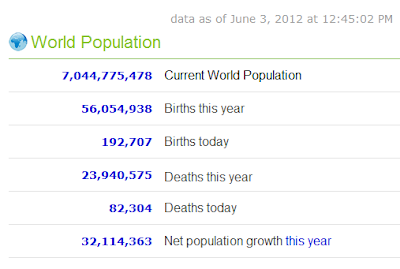 0 Response to "World Population"